Yesterday, Guangzhou Canoudi Road Fashion Co., Ltd. initiated the purchase, which has led many investors to question whether a short-sleeved T-shirt of Canuudi Road in the mall costs 800 yuan. However, in its prospectus, the average price of shirts is 441.12 yuan. The difference between the ex-factory price and the sales price is nearly doubled. Not only that, Kanudi Road also outsources the intermediate links of production and distribution in the apparel industry chain. Industry insiders say that this practice is difficult to guarantee the quality of clothing. Affiliated shopping malls took away 50% of retail sales? The majority of the direct-operated stores on Kanudi Road are operated by the joint sales model, which means that shopping malls deduct a certain proportion of the agreed retail sales. The prospectus does not disclose the specific deduction rate. According to a survey conducted by the reporter, the price of Canudi Road shirts is mostly more than 1,000 yuan, and short-sleeved T-shirts are also about 800 yuan. However, the sales data of the prospectus indicates that the average unit price of Canudi Road shirt products in 2010 was 441.12 yuan. According to the prospectus, after deducting the net sales after the joint venture shopping mall is divided into sales revenue, does the mall have to remove more than 50% of the retail sales? â€œEach mall's leasing methods and evacuation policies are somewhat different. Our wide range of high-end menswear brands are usually about 25%, 50% certainly not possible.â€ A Guangbai business management staff told reporters. In order to explain the raised investment and virtual decoration standards? As of the end of June 2011, 155 of the 159 direct-operated stores on Canouille Road had a joint sales model. However, the prospectus shows that in the first half of 2011, the rent for store sales was 4.457 million, and the mall management fee was 5.694 million, a total of 10.1521 million. During the reporting period, the above costs remained. If the shopping mall in the joint sales model is drawn from the sales, this fee is the cost of the other four non-linked model stores, with an average monthly cost of nearly 400,000 per shop. From 2008 to 2010, the sales of Kanundi Road's direct-operated stores were 97,698,500, 18,687,300, and 2,609,928,800. In the same period, the direct-operated stores had an effective rate of 17,000, 20,000, and 20,900. The estimated total operating area of â€‹â€‹directly operated stores is approximately 5746.97 square meters, 9433.52 square meters and 12487.69 square meters. The prospectus shows that after 2009, the company introduced new decoration standards, and the store's renovation costs ranged from 4500 yuan to 6,000 yuan per square meter, and the store decoration expenses were amortized over two years by the straight-line amortization method. This means that after the decoration of the new store, the annual renovation cost of RMB 2250-3000 per square meter will be amortized. However, the amortization charges for store decoration for 2009 and 2010 disclosed in the prospectus were 10,719,800 and 17,054,600. Divided by the total business area, the average annual amortization amount per square meter was only 1,100 yuan and 1,400 yuan. Some investors stated that Kanudhi Road was trying to explain the fundraising plan and artificially raised the decoration standards. According to the prospectus, CANUDILO has adopted a virtual operating brand operation model to outsource the intermediate links of production and distribution in the apparel industry chain. Among domestic A-share listed high-end menswear brands, companies including Youngor, Baoxi Bird, Jiumuwang, Septwolves, Chinor, Caesars, etc., all have their own production capabilities. The production of full outsourcing like Kanudi Road is very rare. .
â€œGeneral outsourcing of production is common in low-end and fast fashion brands. If all high-end apparel is outsourced, it requires strong brand design capabilities and supply chain control capabilities. After all, Nike is difficult to imitate.â€ An insider Said, "Some domestic brands do high-end, mostly from a foreign name, the design is mainly copied foreign big name, there are too few original design." Kanudhi Road repeatedly stressed in the prospectus: â€œThe company has strong independent research and development design capabilities, and has established long-term cooperative relationships with internationally renowned fashion design agencies and internationally renowned designers, and has continuously introduced leading-edge trends and meets customer needs. New product capabilities.â€ But in fact, the only international designer who works with Canudi Road is Maurizio Baldassari, who is allegedly hired by Canudi Road as a perennial design. consultant. According to public information, the high-end men's wear brand named after the design master has entered the mainland market, and its partner is the company's Oujue Garments Co., Ltd.
â€œThe gradual development of CANUDILO into an internationally renowned national apparel brandâ€ is the strategic goal of Kanudi Road. However, in actual operation, Kanudi Road did not seem to want to be a national brand. A number of media pointed out that Kanudi Road registered trademarks in China after its inception in China and emphasized its Italian identity in store sales and media campaigns. Foreign brand." He was brought to court by the Spanish men's brand CARAMELO, leading to a 7-year trademark litigation. So far, when searching on the Internet â€œCanoudi Roadâ€, it is still possible to see a large number of pages and descriptions of the famous Italian brands. A graphic designer told reporters, â€œThe trademark of Canudi Road is basically the same as that of Karamero, but the eagle's chest is actually a double C pattern similar to CHANEL. Design people can see it." Although Canudi Road is currently on the verge of being listed, it is still not known whether its investment value can be recognized by the market. 4.Why We are The Best:Our material is eco-friendly,and our painting workers have 25 year experience. 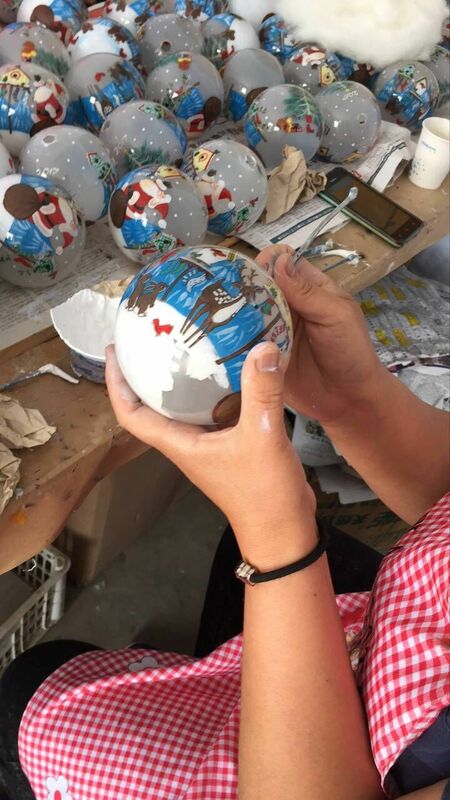 Meticulously hand painted from the inside: Artists use curved brushes to reverse-paint the image on the inside of the globe. Each Ornament takes approximately two days to complete. 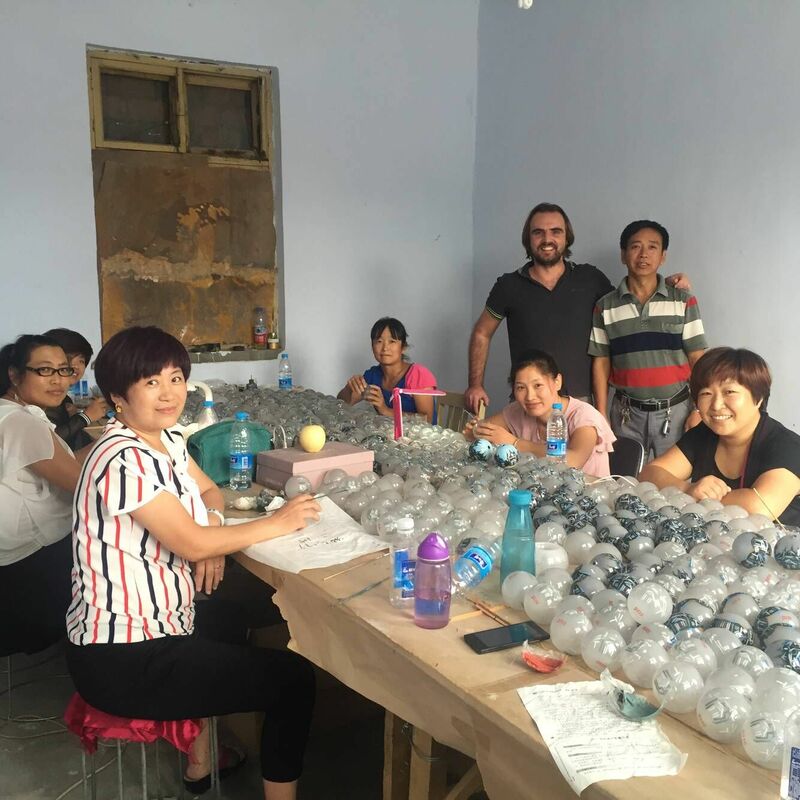 Skilled artisans individually inflate each ornament ball from molten glass. No two are exactly the same. A True Collectors item: Because each ornament is unique, this piece is a one-of-a-kind collector`s item you and your family will cherish for generations. 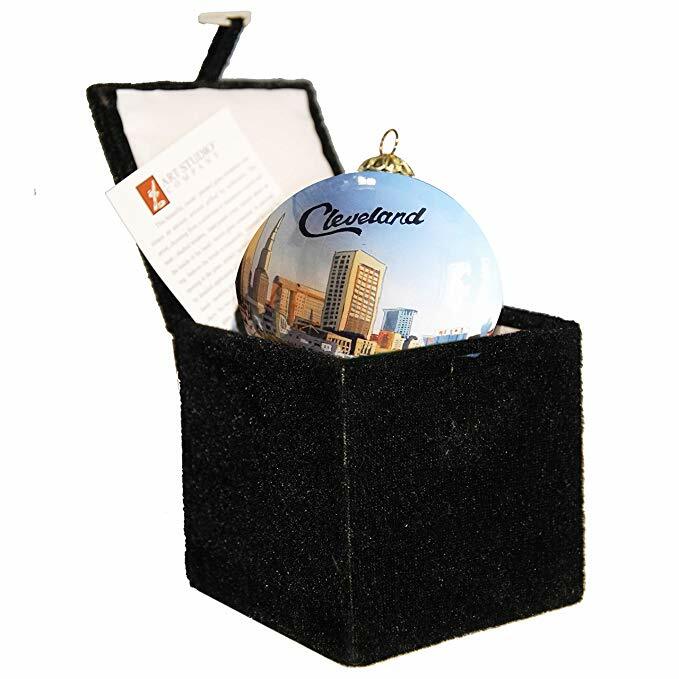 Gift Boxed: The perfect keepsake for any Ohio lover or as a memento of that special, once-in-a-lifetime trip. Arrives in a padded square felt gift box that`s useful for gift giving and safe storage.